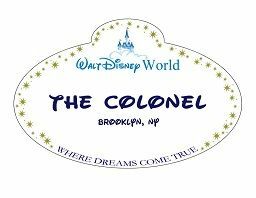 Home » Forums » Chat » General Discussion and Chit Chat » My dream of becoming a Disney character just got a little closer! My dream of becoming a Disney character just got a little closer! So it turns out that I'm in the right height range to be "friends" with Merryweather, my favorite character from Sleeping Beauty. I've been working on getting Benn to move to Florida so that I can fulfill my dream of becoming "friends" with Merryweather and living happily ever after. Ok, that's not quite how the story goes, but I am trying to convince Benn to move to Florida within the next 5-10 years partially so that we can be closer to the Happiest Place on Earth and becoming a Cast Member is very high on my list of attractive job prospects. I mean ideally, I want to be an Imagineer, but we'll have to see if my skill set aligns with any available openings at the time. According to the Imagineering Field Guide (thanks, Colonel! ), there are 140 different disciplines in Imagineering, so who knows. Maybe it's not as farfetched as I think. But of course wouldn't is also be amazing to get to create magic as a Disney character? 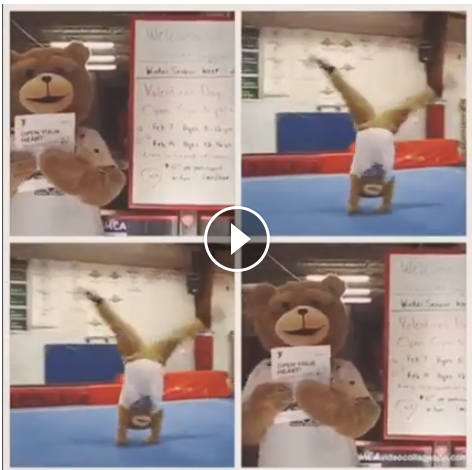 Well, the gymnastics program that I teach for has decided to adopt a mascot to help promote our program and guess who got cast as Tyke the TumbleBear? Yep! You guessed it! Actually, my bestie and I are sharing the responsibilities. (um...I mean there's only one Tyke the TumbleBear, kids.) I can't tell people on Facebook, so I thought I'd share with my friends here. The inaugural video is a little rough. I'm supposed to put my hand over my heart, but it looks more like I'm giving the international sign for choking! I think I need a little bit more practice! I have a friend who started in the Disney college program and never left. He has been there about 5 or 6 years now. He so wants to be a character, but they keep shifting him around food service jobs. Apparently it's not that easy to get a character position. I'm thinking of buying a house on the coast within striking distance of WDW by car and week-ending and holidaying in the World with my DVC points when I retire. And my Plan B is to live in a cardboard box and eat dog food to survive. That will work too. You have to have a dream. Benn, mama mouse, and papa mouse are all enamored with the Tampa area. I think I could like it there, but the commute to Lake Buena Vista doesn't look like fun when I-4 is involved. Though it does seem less swamp-y than central FL. Plus I'm not 100% sure about wanting to work for Disney anyway. Entertainment would be particularly difficult--I can't wear contacts and I'd be a danger to myself and others walking around the park with no glasses. Maybe just being close enough to go for the weekend would be good enough for me. If anyone has advice on nice areas to live in Florida, it's certainly welcome. Great job! It has to be hard tumbling in a costume! Magical Adventures at Disney's Animal Kingdom Lodge! It wasn't too bad, but my head did fall off once. Fortunately, our first session was just filming an intro video and no kids were around! I'm amazed you can do a cartwheel in that suit! I was impressed with that too.